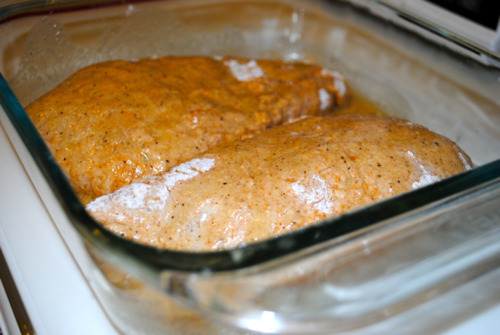 Combine chicken with next 7 ingredients in a zip lock to marinate. Refrigerate 1 hour or more (overnight is my suggestion!!). Preheat over to 350. 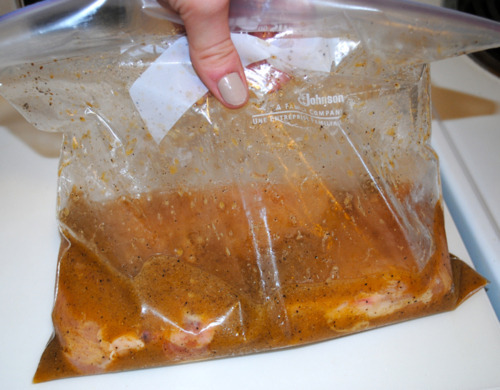 Remove chicken from marinade and save marinade. 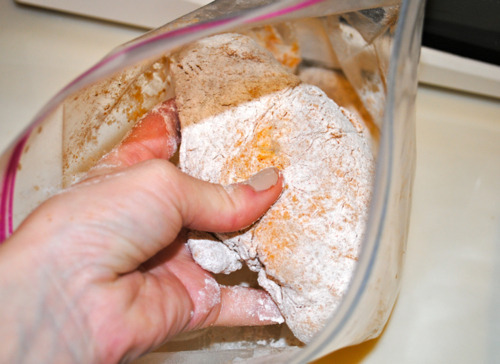 Combine flour, paprika and salt in another large ziplock (you may want to double this part of the recipe). 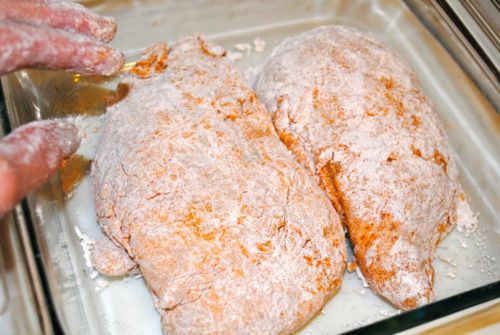 Add chicken to bag a piece at a time to coat. Arrange skin side up in a shallow pan. Drizzle chicken with some of the leftover marinade. Bake in oven uncovered until done (usually around 30 minutes). If you are fancier than I am, you may garnish with lemon slices and parsley and serve with your favorite veggies! For a more diet-conscious preparation of this recipe, marinate the chicken as directed above and simply grill the chicken without dusting. This recipe is one of my favorites from my mom’s long list of delicious dinner items. The flavor is spectacular! It’s fairly easy to make, but I highly recommend marinating the chicken overnight to fully hold the flavors and make it amazingly moist. 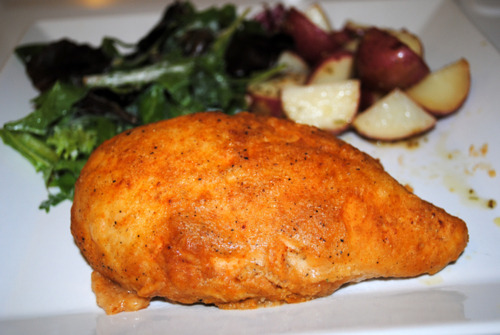 The paprika is great because it adds a subtle red hue when the chicken is done, providing for a colorful plate!